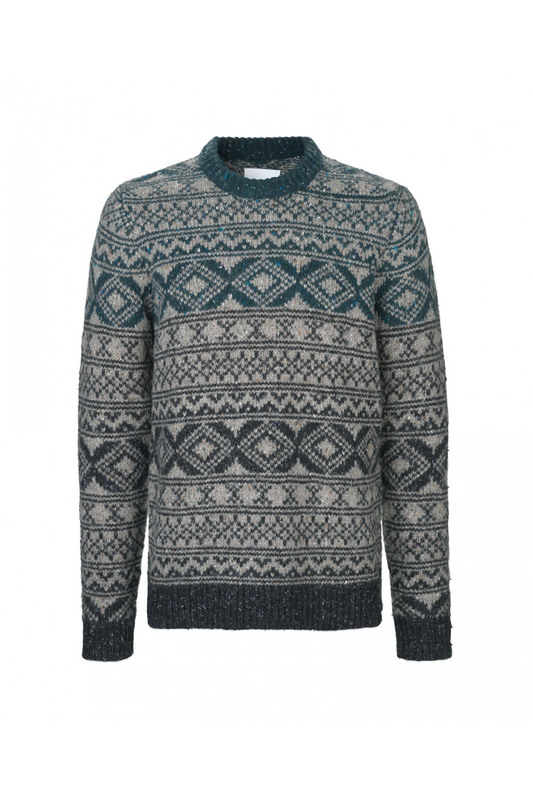 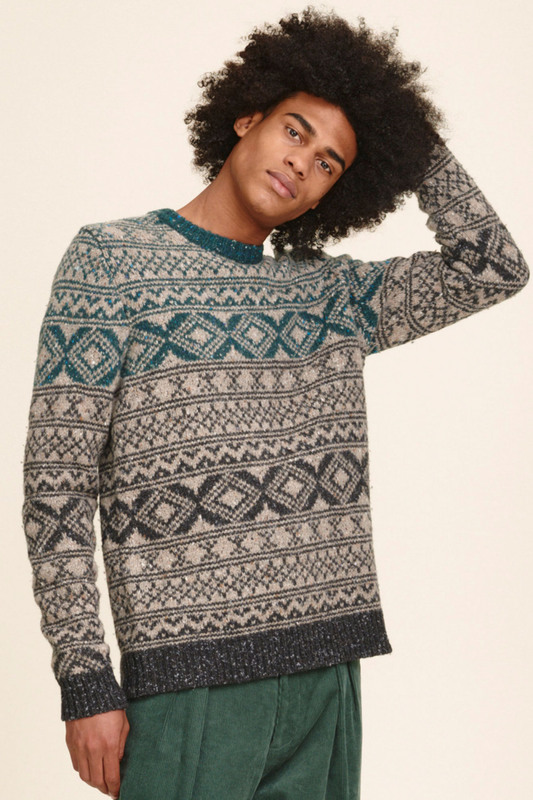 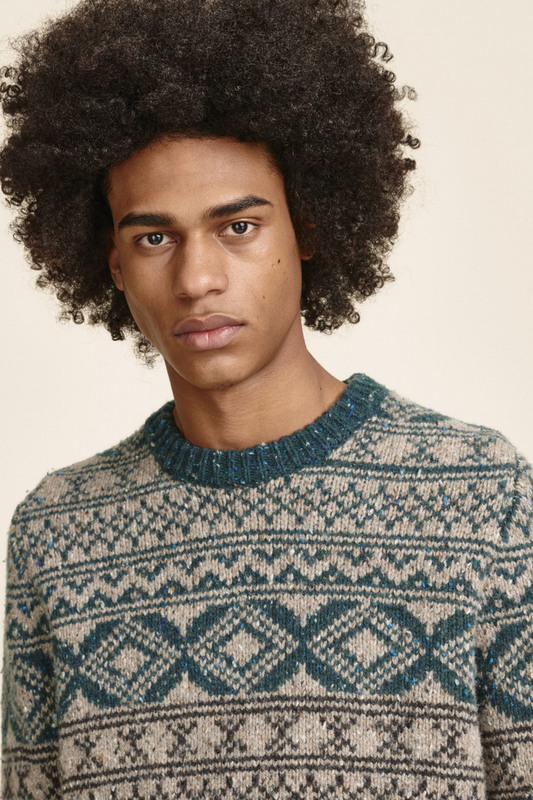 With it's modern take on traditional Scandinavian sweaters, this style has been knitted in a wool blend yarn with geometric jacquard patterns with a tonal color effect. 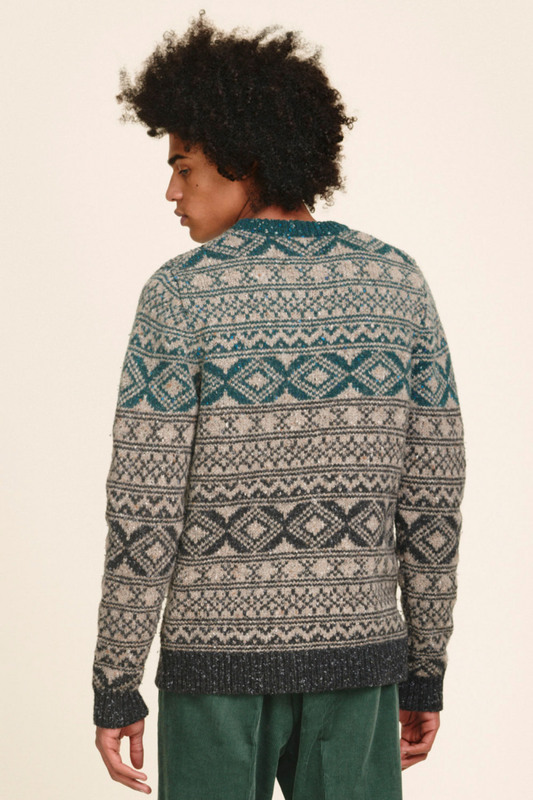 Ribbed trims complete the round neck and hems of this cosy and stylish chunky jacquard sweater. 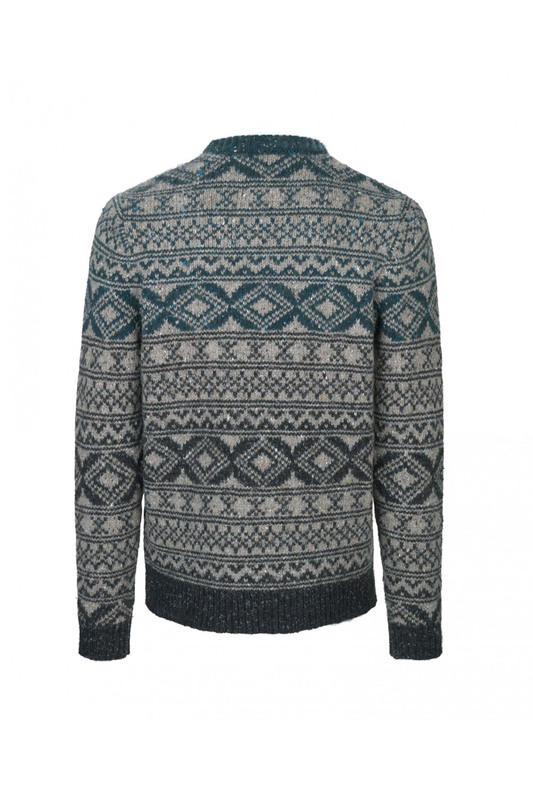 Quality: 50% Wool 30% Nylon 20% Viscose / Size: Center back length on size large is 68 cm.